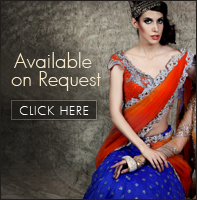 Make your wedding functions a stylish affair and amp up your look with this royal blue lehenga choli. 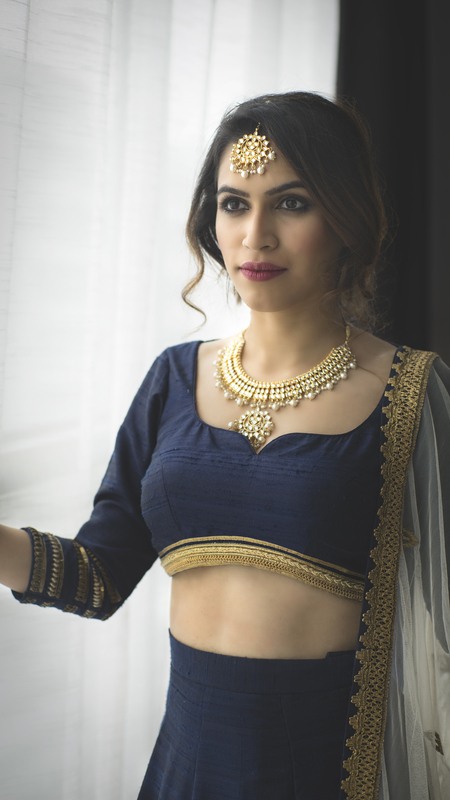 The beautiful short choli cut in silk is designed with gota border adorning long sleeves. 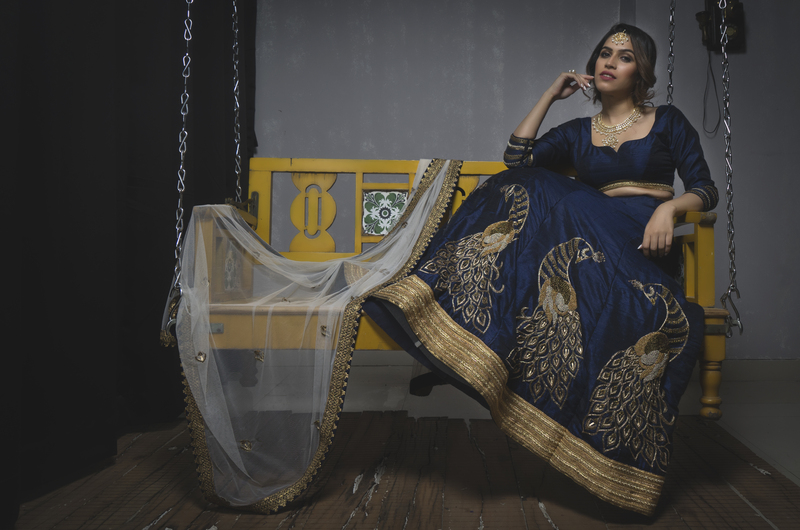 The similar tone lehenga embellished in an elaborate peacock motif embellished in traditional zardosi embroidery adds a regal impact. 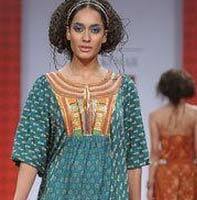 The white net dupatta is spiced up with gota borders and zardosi embellished butis.